Despite the chaos of the past few days, we had the biggest trick or treater turnout ever. We ran out of candy way earlier than before - we completely ran out after giving away 800 lollipops, all the full sized candy bars, a Costco box of goldfish packages and a bag of candy a nice neighbor gave us for the stash. Since we spend most of the day outside, we don't do quite as much inside in terms of decor but here is the party that was. I wish we were neighbors!!! Looks like Super Storm Sandy made it onto your dining room table (the house)! Fabulous! Already looking forward to next year's posts! Now can you lead us all through how to do all other holidays? Fantastic as always! That picture of you in your costume is gorgeous! I think after the chaos of the past few days kids and parents really needed Halloween this year. I'm sure you made many, many people smile yesterday. Oddly enought that red lipstick suits your prefectly green skin, Mrs. Witch. P.S. : How fast, in km/h, does that retro-broom of yours fly? Seriously, you all are so awesome. Your creativity blows me away! Fantastic! Love it all! Great job as per usual. That picture of you is pretty to die for. I am pinning immediately. I particularly love the little witch leg cupcake toppers and the house with the cyclone. I think this was your best year, yet. Loved this theme. So glad you made it through the hurricane. you are the best at Halloween!! Martha needs to feature you next year, love the decor! great party. You have given me some great ideas over the last 4 years of following your blog, but the Halloween are some of the best. Wow!! You are amazing! Love the photo of you as the wicked witch, so beautiful. You should have your own book deal ! Your photos and idea's trump all. I love this! The idea of the little house with the "twister" is perfect. Also love the floating hats and cupcakes with witch legs. You always have the most unusual and creative ideas and that is why you are "Halloween Queen" in my book. Martha needs to hire you because her Halloween selection is getting real stale. :) Another inspiring success. Love it all! So glad you were able to carry on with your plans despite this year's chaos!  Mrs. Limestone always eager to see what you come up with. Many might not agree with me, but this year it was a little bit lame. I guess you have raised the bar so high many years that this didn't impressed me as the previous ones. Love your creativity, your passion. Glad to hear you are safe and sound. Looking forward to see what is new for next year. You're AMAZING! You could make some serious money doing this for a living and its something you obviously love to do.....I would so hire you to do my home..... and not just for Halloween............LOVE EVERYTHING YOU DO! Your Halloween is absolutely amazing every single year. Thanks for sharing! Love it! Besides the creative ideas, I want to know how you manage your time! I can barely get the kids their outfits in time to get out the door for trick-or-treating, let alone decorate and plan a party. How do you manage to pull this all off so well? LOVE. Your green makeup and red lipstick is awesome! So glad you guys were still able to celebrate. This is one awesome party. The dollhouse is just perfect. oh my gosh! you look AWESOME! Really interesting pictures. I love the idea of hanging black hats and broom in the side. As always, wonderful job with the theme! Your Halloween craftiness blows me away! you rock, going all green! 19. we had 19 trick or treaters. i can't imagine all of yours, although, i'm sure your fabulous decorations on the house brings the kids to the yard. like, literally, the yard b/c your decorations always rock, and who wouldn't go out of their way to see them? I dont take any credit for the masses of kids - they were here long before we moved in. I don't think anyone is coming out of their way - we just have a really active neighborhood. That is so awesome! Love how you really get into the spirit of things. Great costumes...those worms in the apples...ewwwwwww! OMG I love it!!! What a great job decorating! What fun! The costumes look awesome and I love everything you did. Particularly the witch profile on the mirror! so cool! How did you do it? Thanks. I cut it out of black craft paper from a roll (the same paper I used to make the invite envelopes). This was by far my favorite Halloween idea you've had! Absolutely incredible job with the decor outside, ya'lls costumes, and the inside decor! How many people came to your party? Did they all wear green, or just the two friends pictured? Anyway, thanks for sharing! Your creativity blows me away each year!! I happened upon your site via Pinterest and LOVE it! What did you use to make your face green? I've tried lots of things for a witchy glow and nothings ever looked that good. Thanks! I used something called Aaquacolor Kryolan face paint in pea green - it was about $5 from Amazon. You add a little water to the makeup and it goes on very well with a foundation brush. After its dry, I set it with some face powder and it stayed on all night very well. I'll definitely use this brand again if I need to paint my face a color. I normally have a pretty small guest list anyway but this year was especially small since several of our friends couldn't get to our place because the subways were not running. We had about 12 people in the house (where we usually have about 20) but more than 1000 trick or treaters outside so it always feels like a party no matter what. My brother and his fiancee dressed as Emerald City zombies to work with the theme but they don't always go with costumes that match. Those worms in the apples completely gross me out. Love the hanging witches hats. Glad you made it through the storm alright and were able to celebrate with your family and neighbours. I look forward to seeing your Halloween decor each year! Glad your green face is due to makeup and not feeling the worse effects of pregnancy...and loving the mirror! Looks like a fun time. you always have the best ideas for Halloween and the best realisation, so much fun!! I miss being in an area w/ lots of trick-or-treaters. We used to love to decorate our yard and the kids loved it too. Unfortunately we now live much more rural, and kids in rural locations (at least in ours) no longer go out into the neighborhood. They visit school carnivals, go into town, stuff like that. Love the wizard costume! Can you share where you got the costume?